4. The public_html folder is the web root for your primary domain name. This means that public_html is the folder where you put all website files which you want to appear when someone types your main domain (the one you provided when you signed up for hosting). 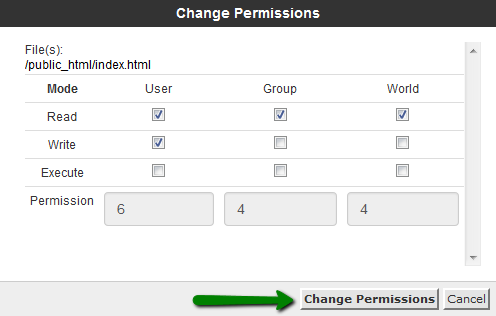 If you wish to upload files for your addon domain, you will need to move to public_html/youraddondomain.com directory. In the first section, you can find a toolbar with all the basic functions for managing files like create a new folder, delete a file, upload/download and much more. 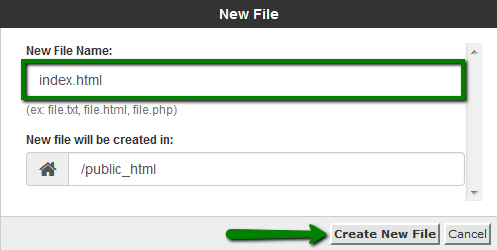 The second is the file listing section, it displays the content of the selected directory. If no files or folders are created, the following message will be displayed in the file window This directory is an empty message. The navigation toolbar section allows navigating between folders in the file window. The location section shows the directory you are currently located in. Edit: this editor will edit a document as plain text. It is useful to store a group of files in one file for an easy backup or for a transfer to another directory as well as compress large files. 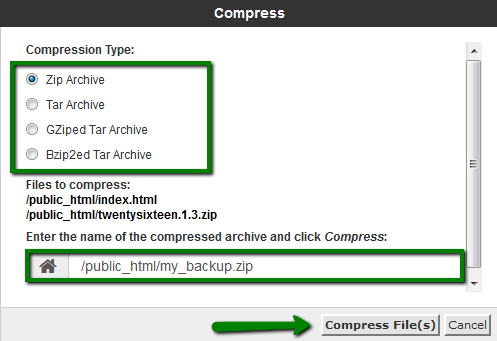 Compressed files take up less disk space and are downloaded faster via the Internet. The data can be compressed into a single *.zip, *.Gz, or *.Bz2 archive.